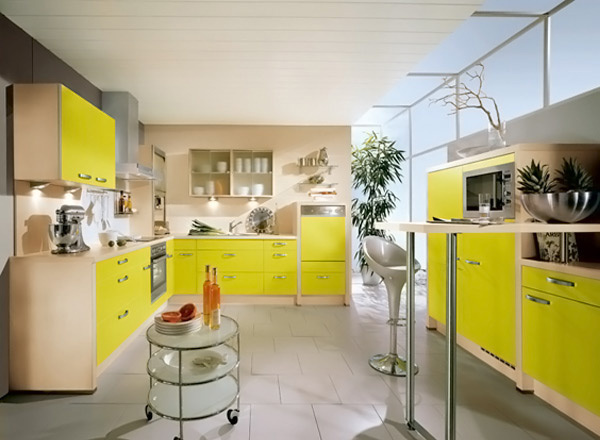 Today we will be showing you modular kitchen designs that are colored yellow. The color is pretty and really eye-catching. If you take a look at the green colored kitchen designs that we have shown you on one of our previous articles, you would be able to notice that both colors are somewhat inviting in terms of eating food! 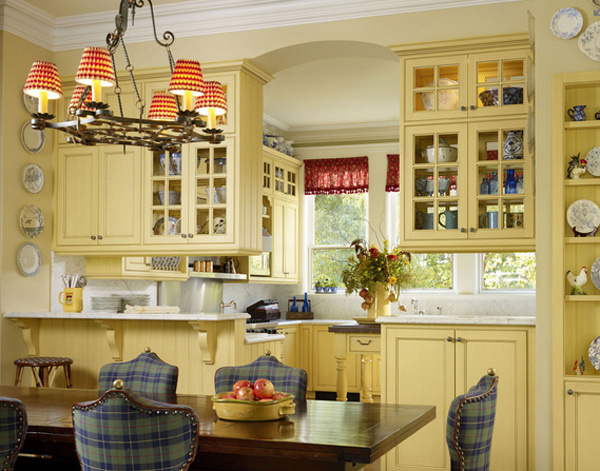 Yellow is usually coordinated with red or orange to create a feel of carving for food. That is the main reason that the colors for fast food chains are combinations of the said colors. 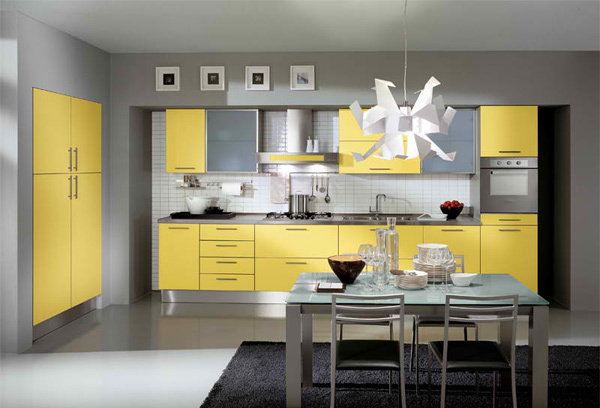 These 15 yellow modular kitchen ideas will bring you into a trance and will surely make you wish you had any of the kitchen designs we have in store for you! As they say, beauty is in the eye of the beholder, and we see these photos as beautiful as they are; but we assure you – you will fall in love with them in a snap! Here are the photos we have picked up for you! Doesn’t this kitchen look remarkable with its common features like any other kitchen design, but the lights gave it away. 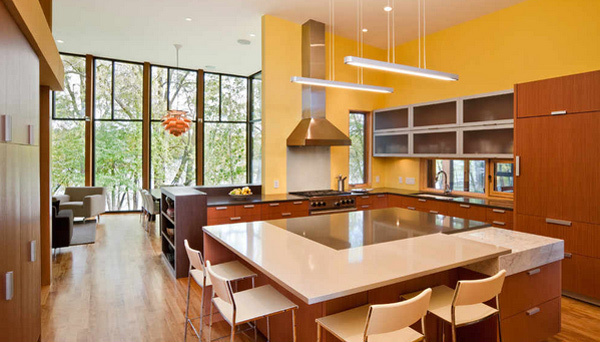 This modern kitchen makes us wonder: do they even use this one? The cabinets for Kaori look really expensive with all the gloss it has! 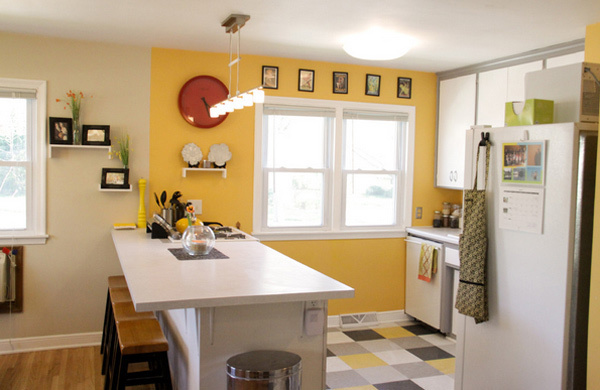 It’s cute that it is only the kitchen that is colored yellow and the other side of the kitchen has cream walls. The tiled flooring is interesting. 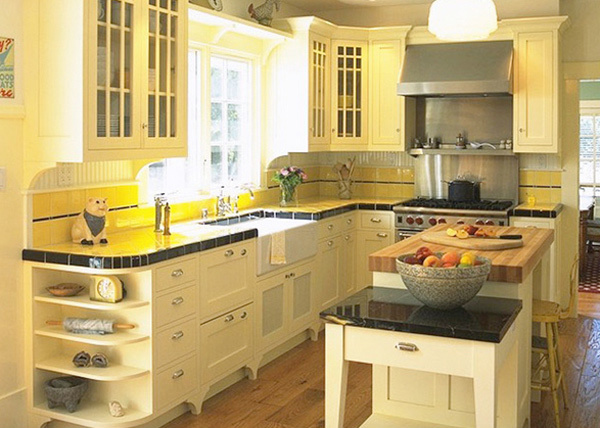 A traditional yellow kitchen that highlights the beautiful kitchen design created for this space. Casa Lluvia Blanca looks so Spanish in design and aura. 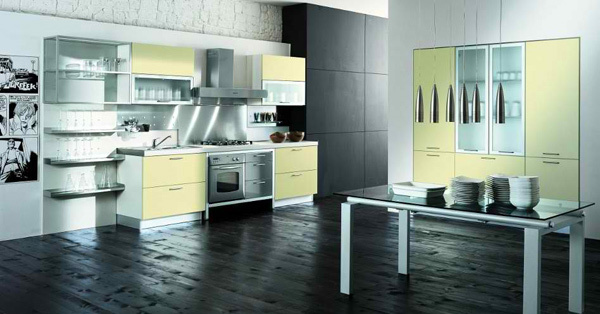 A classic look for a kitchen which was made lovelier by the light yellow paint used for the walls. 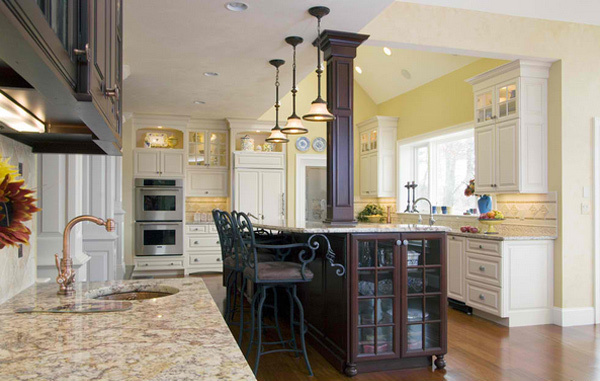 Another traditional looking kitchen which we can see in most homes in the television. Who said yellow does not rock black will be shocked to see this photo! 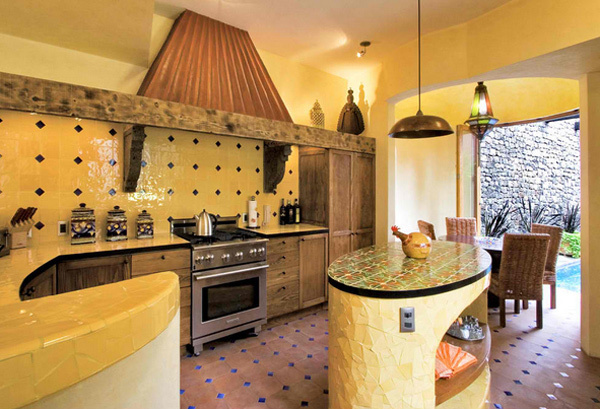 One example for a kitchen that transcends all designs. The great color combo makes this room look even prettier! 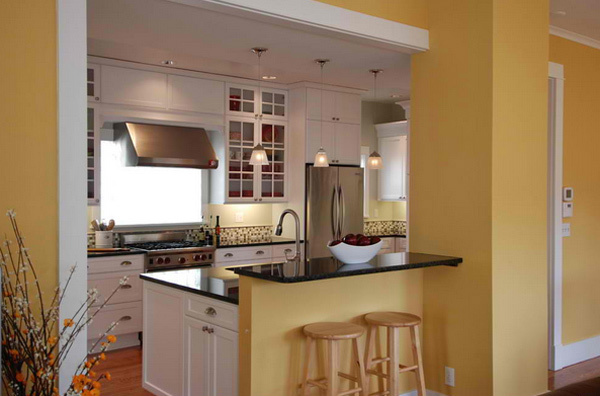 The mustard colored walls look divine with the cream colored cabinets for the kitchen. 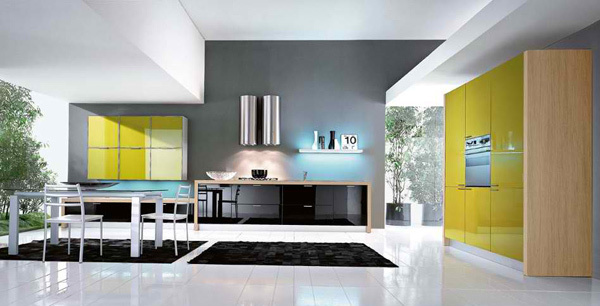 The yellow colored cabinets contrast to the color of the floors and match the gray walls of the house. 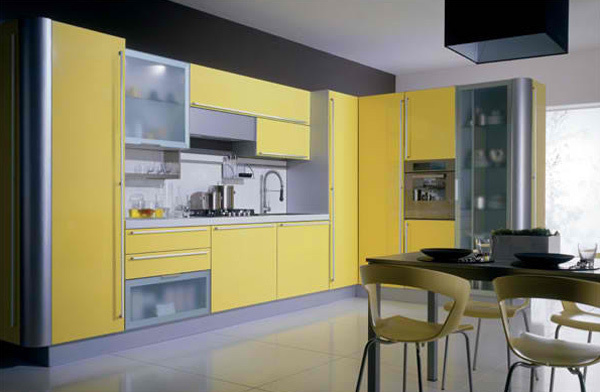 The gray walls blend well with the yellow cabinets and drawers of this pretty modular kitchen! 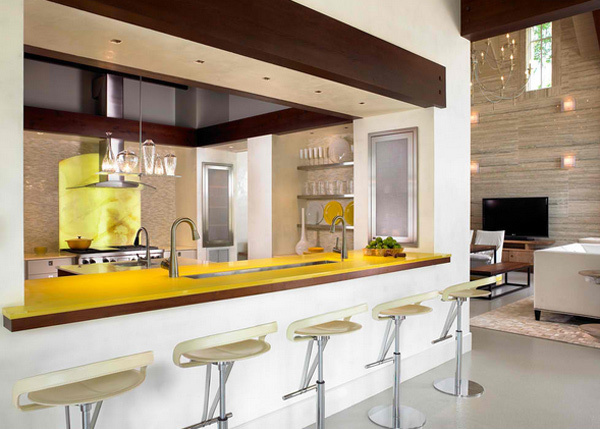 Notice that it is only the bar counter and the backsplash is colored yellow for this kitchen but the walls contrast well with it. 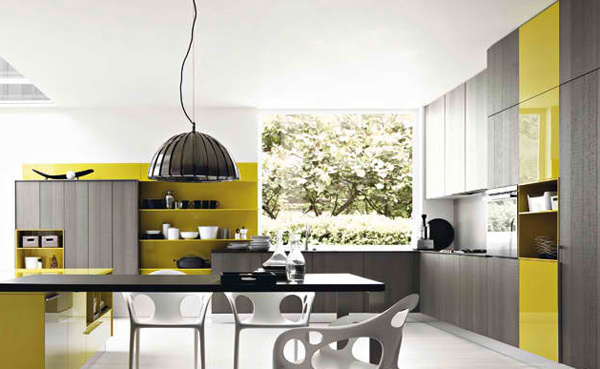 This example of a yellow kitchen is one design that overrides all norms of combining a wide palette of colors to achieve certain aura for the kitchen! 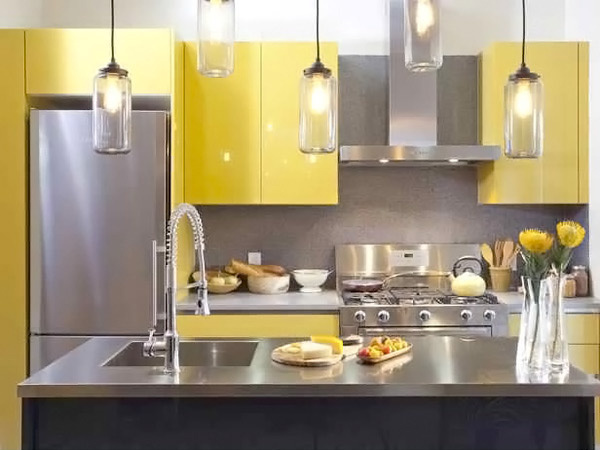 There you have it guys, the 15 Yellow Modular Kitchen Ideas that has inspired us in how we can design our kitchen cabinets, drawers and even the bar counter or the kitchen countertop. Fun as it may seem, this color reminds us how fabulous something looks in color yellow! Take a peek at the other color schemes we have for your kitchen and take a look as to what shade would you like to be in your own homes! More to come on Home Design Lover! very beautiful designs.one color and so many different designs, its amazing.